Home / Newsletters / May 2015 – It’s Show Time! 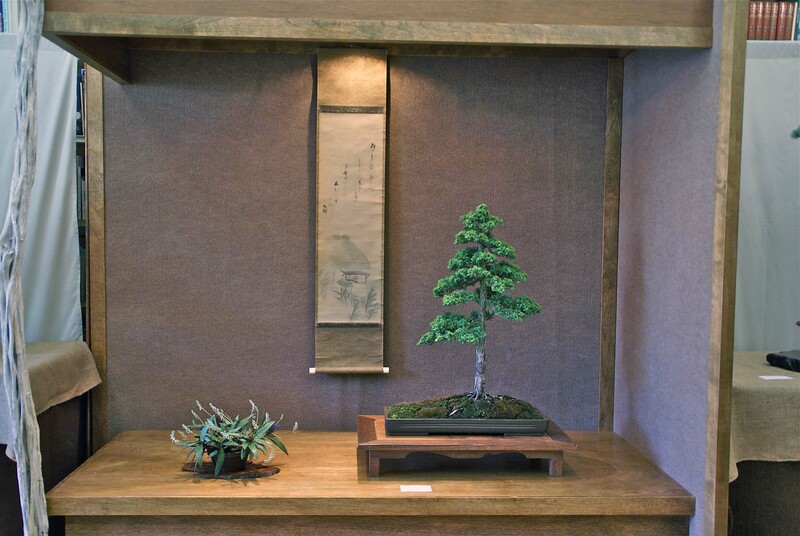 Our regular Tuesday evening program on May 12 will be a discussion of the show and show preparation, led by Show Chair and all-round bonsai expert Ann Erb. Whether you are showing your trees or not this year, this is a good opportunity to ask any questions you might have; maybe you will even decide that, yes, you will enter a tree or two. If you need to borrow a stand for your tree, this will be a good opportunity to ask Ann if you can borrow one of hers. We’ll drop off our “set up” items at the library on Friday, and will have the gate to the Garden open at 8:00 AM Saturday morning for us to begin the weekend’s Show. There are many tasks to perform in order to be ready, so hopefully each of you will be there early for setting up. Please wear your name tag. 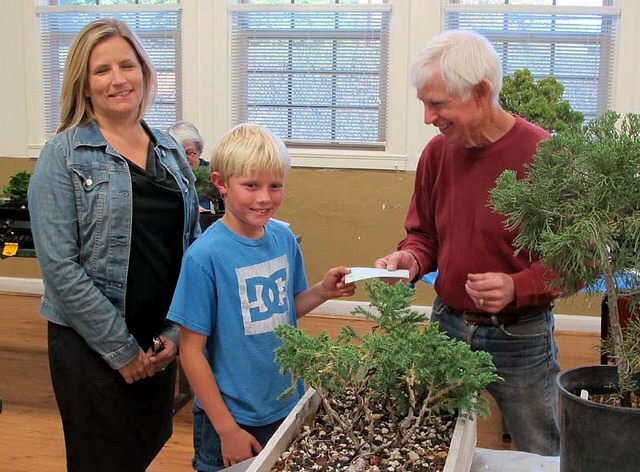 Do have your tree entry form to Ann Erb early so that she can have her layout completed for the formal placement of trees. There are always last minute changes once we see the actual trees as they arrive. Also, have your “plant sale” items Form ready for Ernie as you arrive so that he can be prepared at the Sales Table. It is the time to distribute the “rack cards” if you are one of the distributors. Hopefully we will have a great turn out for our silent auction items. We will have a Saturday table and a Sunday table for those items. See you on Tuesday, May 12, for Ann’s presentation on show ideas. Thank you, Leroy, you did an excellent job (as you always do) of reviewing not only the trees in last year’s show but the people, show set-up, and so much more. If you were unable to attend, check with Tom Post to see if any of the DVD’s of the presentation that Leroy prepared and donated to the club are still available. The picture is a screen grab of Leroy in one of the hilarious moments of the fast-forward video of the show set-up. Free entry to the Garden for anyone over 60, courtesy of Welch-Ryce-Haider. 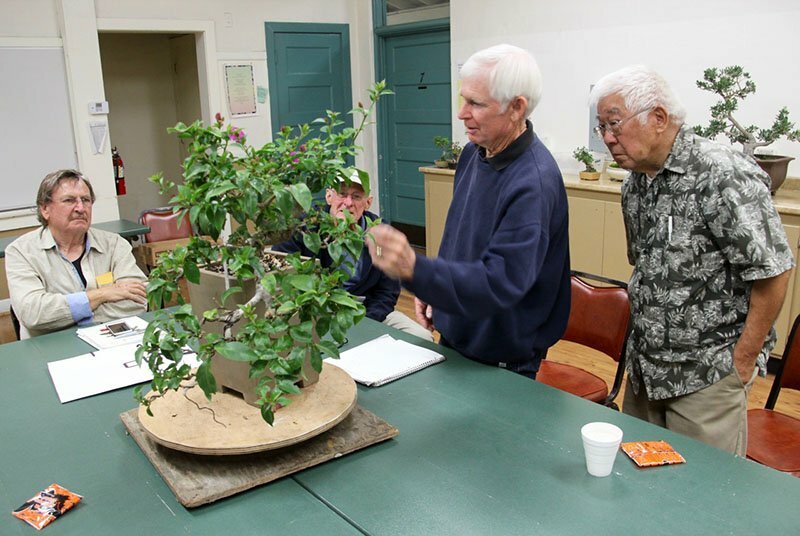 May 30: Bonsai Club Of Santa Barbara: Beginner’s Workshop. All day. At Santa Barbara Botanic Garden. Signup sheet will be available at the show. 9 AM until noon, Room 8, Goleta Valley Community Center. Ann Erb, instructor. New semester. Contact Ann Erb or Tom Post if you’d like to attend. No class in May. 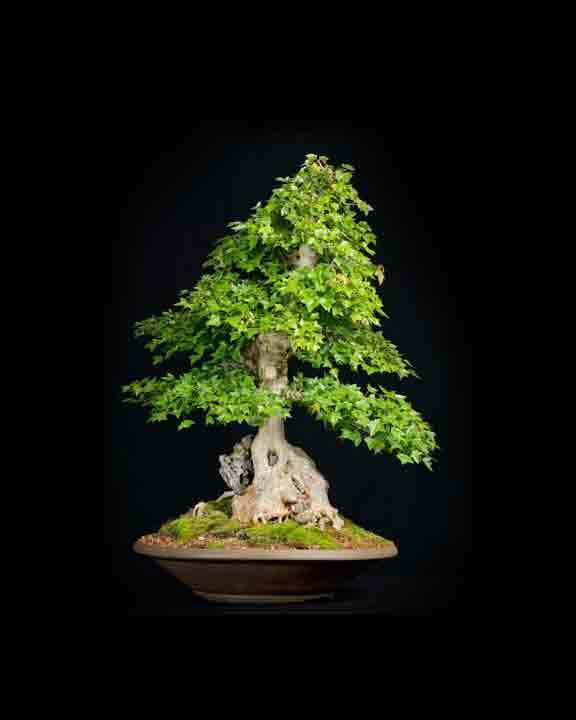 June 20: Bonsai Club Of Santa Barbara: Saturday Workshop With Guest Instructor. 9 AM until noon or 1 to 4 PM., Room 7, Goleta Valley Community Center. New semester. Guest instructor to be announced. No class in May.